Nylon "gave 10 designers one meter of denim each and told them to let their imaginations run wild." 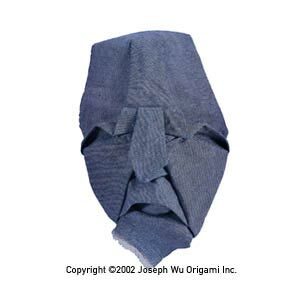 I submitted three origami faces (heavily inspired by Eric Joisel's work), and this is the one they chose to lead the story with. Unfortunately, they forgot to include "folding" when they talked about the methods used.